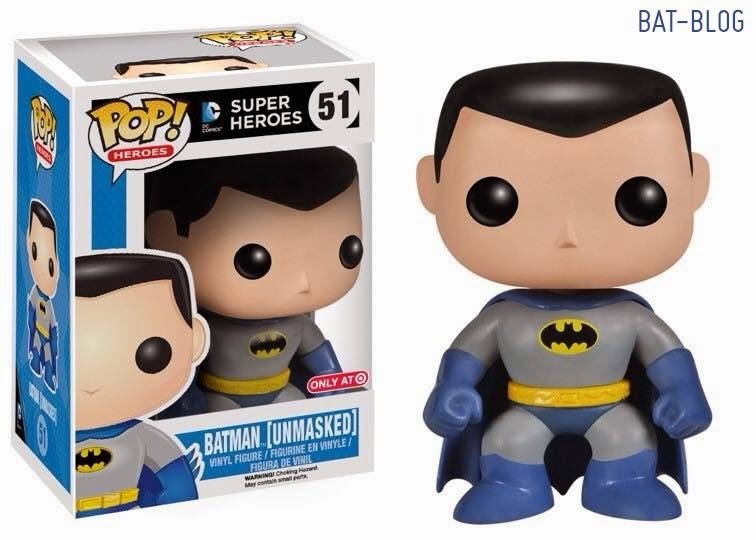 Here at the BAT-BLOG we're super-excited to announce that TARGET STORES will have a "Target Exclusive" UNMASKED BATMAN Pop Heroes Figure by FUNKO! Look for new toy this week. Also, another "Target Exclusive" will be coming up in mid-November, a special BAT-WING LEGO SET will come as a bonus with their sale of the LEGO BATMAN 3: BEYOND GOTHAM Video Game.